I pride myself in being able to read in several languages, and thus get the full context of a piece of literature. Even in the languages I speak, however, there are certain expressions I'm not familiar with - these I simply enjoy to the fullest as they improve my knowledge of the language (Shakespeare even taught me new swearwords...). 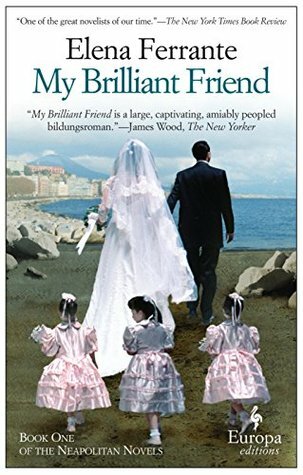 When I read a book in translation, on the other hand, I make sure I've studied about it beforehand, just to get in the spirit and be able to "read" the social background of the story. (Also, it's never too late to learn another language...). So, language is definitely not intimidating for me! Short is good, long is daunting? Is a literary journey ever frightful? Whatever Classic I've read so far, I've felt as if I'm in for a treat. However complicated the plot (ahem, Master and Margarita) I dive into a reality that will transfer me miles, centuries, worlds away and for a while I AM the main character in that book and live through these adventures - what better way to let go of (real) life's ... reality? No, there's nothing about the Classics that intimidates. On the contrary, I seek solace in them - and they have never failed to deliver! By the way, what languages do you know? I think it's awesome that you can read certain well known works in their original language! thanks Risa! Indeed, I enjoy reading Classics in English, French, German, Greek and Spanish! I am definitely intimidated by the classics, both by length and language. 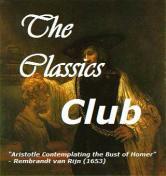 I'm not really a classics person though, there are only a few that I have truly enjoyed. Good point, Patty! I wish I could say the same. What intimidating me most, I think, is the idea (philosophical books included here), not the length. As for language, well...you can still open your dictionary!